Get the Fresh Restaurant-Style Ramen experience at home. 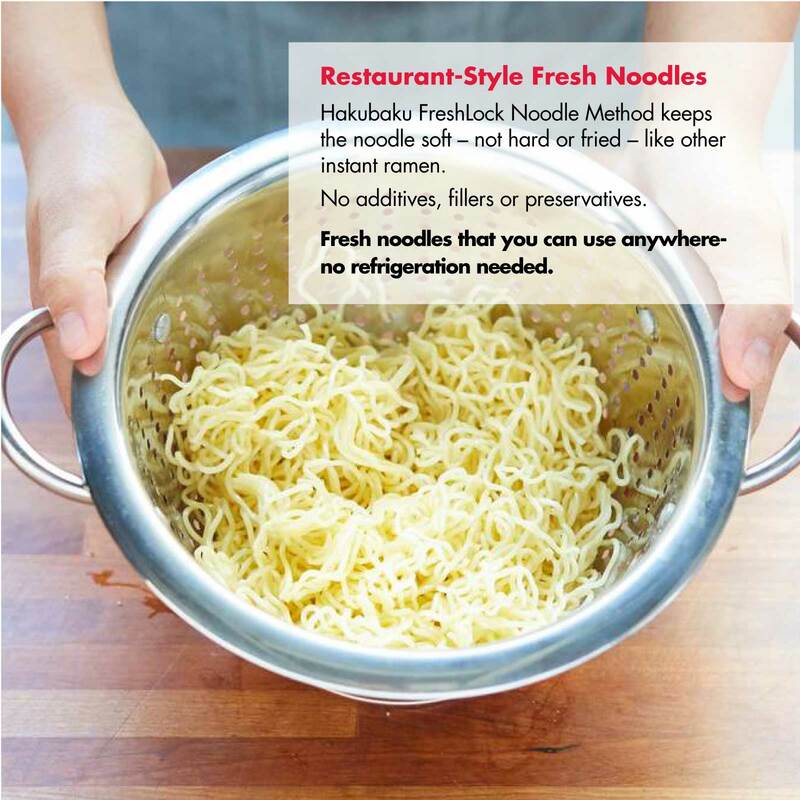 Preservative-Free Fresh Noodles, Shelf Stable, Needs no refrigeration. NO MSG. Just great Shoyu Soy Sauce Flavor Soup Concentrate. Ready to eat in 2 Minutes. 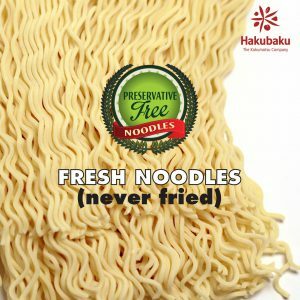 Hakubaku proudly launches our Restaurant Fresh Ramen Kits! 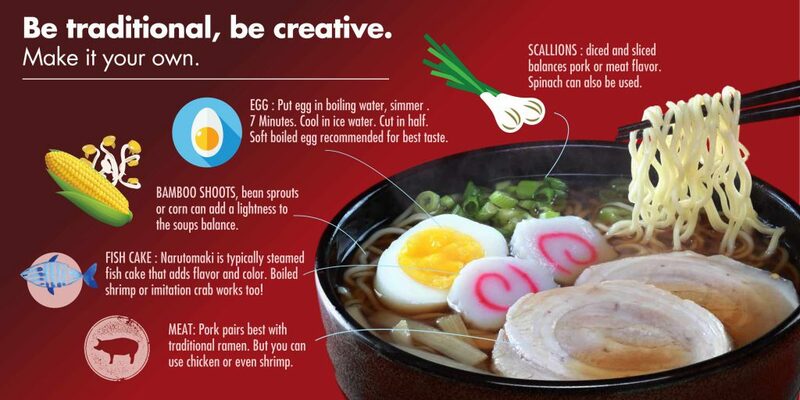 Our ramen is so good that you will swear you were at you local ramen restaurant - only its in your kitchen! 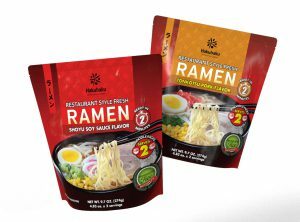 • Soft restaurant-style fresh ramen noodles- never fried! Shelf stable noodles need no refrigeration. No preservatives or fillers, just Japanese Ramen noodles! • NO ADDED MSG! Flavorful and hearty soup stock that holds up to any topping combination. • Clear and easy cooking instructions for a no-worry gourmet experience. • Perfect addition to any Asian food, soup or gourmet food categories.